If you have not yet upgraded to Malwarebytes Anti-Malware Pro or need a special gift for a friend, now is the time to act. Malwarebytes is having a limited-time sale that is just too good to pass up. Today through December 2, 2013, a lifetime license of Malwarebytes Anti-Malware Pro is only $14.95 USD for a lifetime license! That is a 40 percent discount off the regular price of $24.95, which is already a bargain for a lifetime license. Reminder: Malwarebytes is an anti-malware software program so you still need an antivirus software. The Microsoft Office team has been busy adding new features and improvements to the Microsoft Office Web Apps. Listed below are the changes being made to the Office Web Apps since my April 2013 article, Using Microsoft Office Web Apps. A significant improvement is the added ability to find and replace words and phrases. You will now also be able to apply styles and formatting to tables and insert headers and footers. Additions to the Excel Web App include the new ability to drag and drop cells and reorder sheets. A quick analysis of a range of data in the status bar (including sum, count, and average of a selected range of cells) has been added. In addition, there is support for more workbook types online. New picture cropping functionality has been added to the PowerPoint Web App and the name of your files can now be changed not only within the editing window of the PowerPoint Web App but also across the other Office Web Apps. On Tuesday, November 12, 2013, Microsoft is planning to release eight (8) bulletins. Three of the bulletins are identified as Critical with the remaining five bulletins rated Important. The Critical updates address vulnerabilities in Internet Explorer and Microsoft Windows. The Important updates will be directed to issues in Windows and Office and most of the updates will require a restart. Office 2003 and Office 2007 are affected regardless of the installed operating system. Currently, we are only aware of targeted attacks against Office 2007 users. Office 2010 is affected only if installed on Windows XP or Windows Server 2003. Office 2010 is not affected when installed on Windows Vista or newer systems. Office 2013 is not affected, regardless of OS platform. Supported versions of Windows Vista and Windows Server 2008 ship with the affected component but are not known to be under active attack. Other versions of Windows are not directly impacted. Customers who use these systems are only impacted if they have an affected version of Office or Lync. All supported versions of Lync client are affected but are not known to be under active attack." Users of Windows Vista, Windows Server 2008, Lync or the above-described installations of Office are advised to enable the Fix it solution, available from my post here. Microsoft released Security Advisory 2896666 which relates to a vulnerability in the Microsoft Graphics component that affects Microsoft Windows Vista and Windows Server 2008, Microsoft Office 2003 through 2010, and all supported versions of Microsoft Lync. Microsoft is aware of targeted attacks primarily in the Middle East and South Asia that attempt to exploit this vulnerability in Microsoft Office products. The vulnerability is a remote code execution vulnerability that exists in the way affected components handle specially crafted TIFF images. The vulnerability is exploited either through previewing or opening a specially crafted email message or file. It is also exploited by browsing similarly web content. The attacker could gain the same user rights as the current user. Microsoft has made available a Fix it solution which will disable the TIFF codec. Below are the links to both enable and disable the Fix it solution. Mozilla sent Firefox Version 25.0 to the release channel. The update is a stability and feature update with five (5) critical three (3) high and two (3) moderate security updates. One "new" feature that I do not like is that the "find bar" is no longer shared between tabs. As a result, if searching for text on multiple tabs, it is necessary to open it on each tab. As a result, it is necessary to open the find bar manually when searching multiple tabs. WinPatrol 29.0.2013.0 was released as a "Power to the People" update, incorporating suggestions by users of WinPatrol. WinPatrol v29 has added new clickable links on the alert screens. 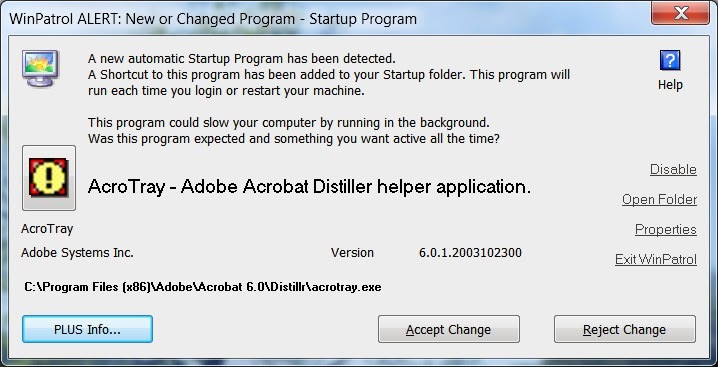 As shown in the image below, in addition to the usual options, the alert screen now includes the ability to immediately disable the program from startup, check properties or open the folder. For stubborn programs that continually add re-add to startup at each update, this is particularly welcome. If, like me, you want to know what changes are made to your computer when installing a new program or Microsoft Updates, you've kept the option to be alerted when changes are made. However, when faced with multiple alerts for the same update, there is a lot of clicking involved to approve the changes. WinPatrol 29 now includes the default option to suppress additional alerts after your first response. Added Open Folder launching Windows File Explorer to allow user direct access to new file. Added Exit Windows emergency exit in case new users are confused or had WinPatrol installed without their knowledge. Include Disable feature to new Startup Program alert message. This tells WinPatrol to keep track of this file and always remove it anytime it is put back into the startup list. Reduce font size for dialogs that display long path names. Detect signature file updates without warning McAfee users every day. Confirm all types of changes are checked at the same time when any single change occurs. This is a Critical Patch Update that contains 51 new security fixes for Oracle Java SE. Oracle indicated that fifty (50) of the Java SE vulnerabilities fixed in this Critical patch Update are remotely exploitable without authentication. Additional details about the update are available in the Oracle Quality Assurance Blog post, referenced below. 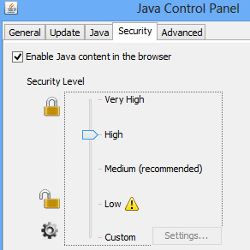 If Java is still installed on your computer, it is recommended that this update be applied as soon as possible due to the threat posed by a successful attack. Included with Microsoft Updates on the last Patch Tuesday was KB 2852386, an optional update. This update changes the Disk Cleanup wizard to provide the ability to delete superseded Windows updates in Windows 7 SP1, reducing the space used by the WinSxS ("Windows Side by Side") folder. Normally, superseded Windows updates can be removed with the installation of a Service Pack. However, since Windows 7 SP1 was released over two years ago, the size of the C:\Windows\Winsxs folder has grown significantly since SP1. As seen in the image copy of WinSxS Properties on my Windows 7 computer, before running Disk Cleanup, it is a very large folder at over 17 GB with over 73,000 files and 18,000 folders. Disk Cleanup needs to be run as Administrator. Windows Update Cleanup is checked by default under Clean up system files. If you have had problems with Windows Updates in the past, you may not want to include the Windows Update Cleanup option when running Disk Cleanup. If you do not see the option for Windows Update Cleanup under Clean up system files, either the wizard did not detect Windows updates that are not needed on the computer or KB 285238 has not been installed yet. After running the Disk Cleanup wizard, you may not be able to roll back to a superseded update. In that situation, it will be necessary to manually install the superseded update. The superseded update files will not be removed until the computer is restarted. Windows will configure Windows updates on shutdown and Cleanup on startup. Do not turn off your computer during that process. Results will vary depending on the Microsoft programs installed on your computer. 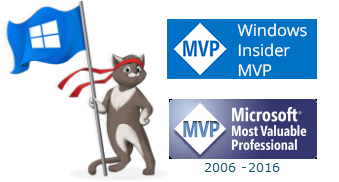 In my case, with a lot of Microsoft programs installed and fully updated, there is a significant difference. Comparing the before image of WinSxS Properties from my computer with the results after running Disk Cleanup: 14,684 files and 3,507 folders have been superseded since installing SP1. Net gain: 6.9 GB! Illustrated screen images of the step-by-step process are available in the TechNet article referenced below.